What Is a Level 3 Chimney Inspection? If you have experienced a chimney fire or major damage to your chimney due to a lightning strike, a severe storm or an earthquake, you should have your chimney inspected by a professional in order to assess the amount of damage done. In these instances, the Chimney Safety Institute of America (CSIA) recommends that you have a Level 3 Chimney Inspection completed by a certified chimney professional, like those at T.J.’s Chimney Service in Greenfield, IN. 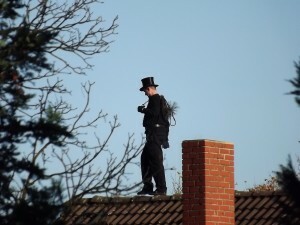 A Level 3 Chimney Inspection is the most comprehensive type of chimney inspection. It means you have serious structural problems with your chimney system. Drywall adjacent to the chimney. Exterior walls surrounding the chimney. Interior and exterior chimney walls. However, before any destructive action is taken to your home, the professionals at T.J.’s Chimney Service will explain what needs to be done before they do their inspection. Also they will talk with you about the reconstruction of your chimney and provide you with a job estimate for your review. If you think your chimney has serious structural issues, for your safety, don’t delay in calling T.J.’s Chimney Service at 317-455-5310 to schedule your Level 3 Chimney Inspection.